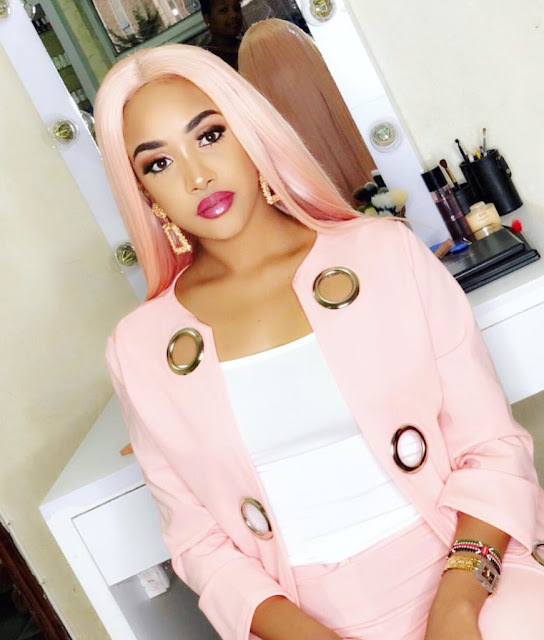 Tanasha Donna Oketch is set to get married to her Tanzanian sweetheart Diamond Platnumz sometimes this year. The wedding had been scheduled for February 14th but it was postponed. Diamond didn’t reveal the exact date when he will marry the Kenyan beauty after he announced that he had postponed the highly anticipated wedding. Tanasha opened up about intimate details of her relationship with Diamond during a Questions and Answers (Q&A) session with her fans on Instagram. She revealed that she met Diamond at a club in 2016, but they lost touch until November 2018 when they met again and ultimately hooked up. The NRG radio presenter also revealed that she would be staying with her sweetheart in Tanzania after she gets married to him. “Are you planning to live in Tanzania in the future?” a fan asked Tanasha. Tanasha also said that she would not convert to Islam, Diamond is a Muslim whereas she is a Christian. Non Muslim women usually convert to Islam before they can be married by Muslim men, that’s what Islam dictates. “Is there a chance you will change your religion?” a fan had asked. “I believe we all serve one God therefore we should respect each other’s religion and appreciate other people’s belief as part of their identity,” Tanasha replied.